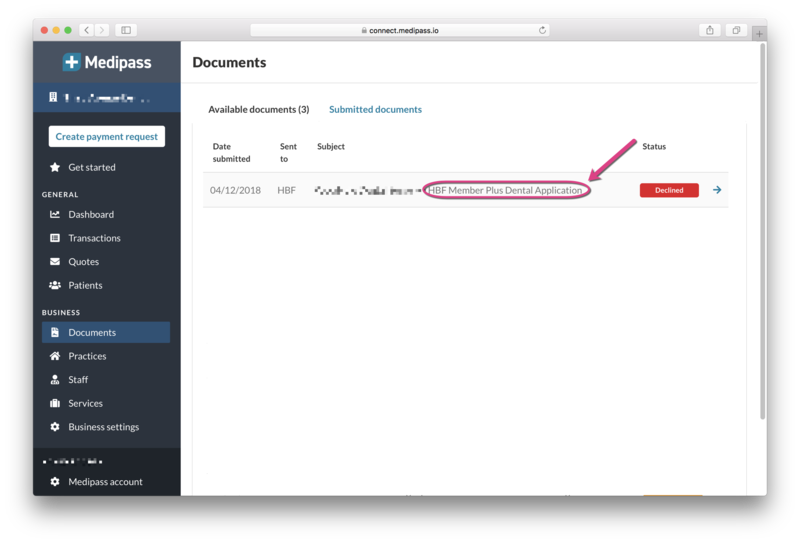 If you need to make changes to an application that has a status of ‘Declined’ or ‘Under review’ because it has incorrect information or is missing information, you can now amend your original application and re-submit it. This will save you having to fill out an entirely new application. Note: This functionality is not available on applications that have been approved. 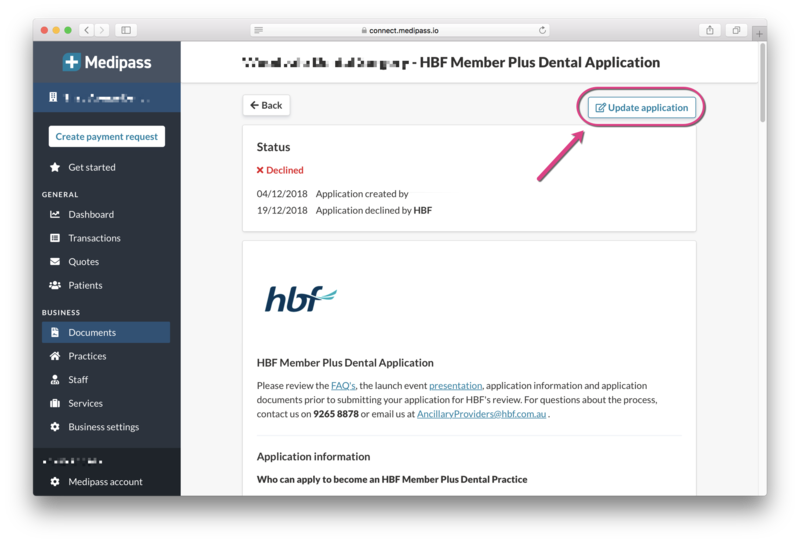 To notify HBF of changes to a practice that has been approved, please email ancillaryproviders@hbf.com.au. If you wish to update the practice name, practice address, ABN, Practitioner names and/or Practitioner provider numbers you MUST make your updates by using the relevant instructions below BEFORE moving onto step 3. 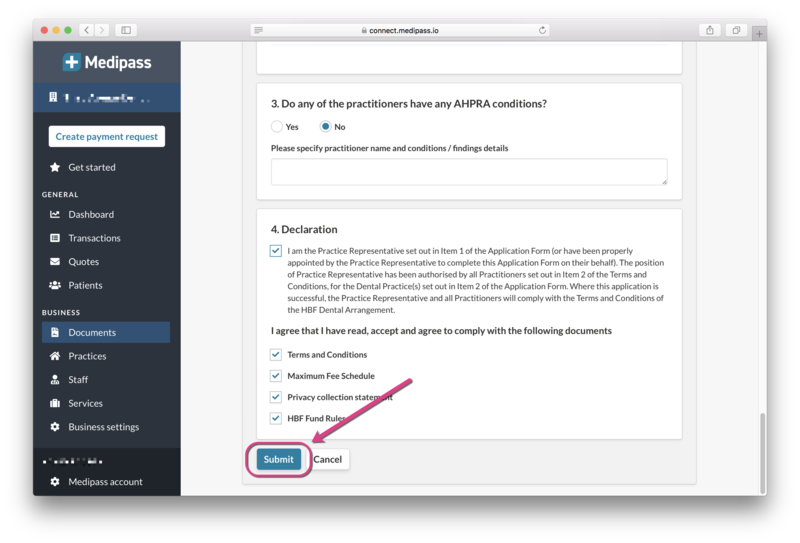 If you do not need to update the above and your updates only relate to the practice representative, their contact details and/or the AHPRA declaration, skip this step and move to step 3. Click on ‘Documents’ on the left hand side of the page. 4. 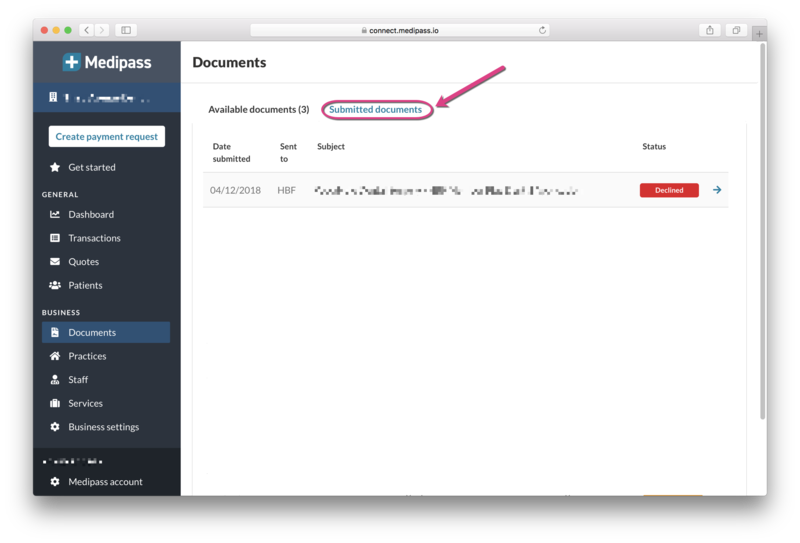 Click on ‘Submitted documents’ at the top of the page. This will bring up all applications that you have previously submitted. 6. Click on ‘Update application’ in the top right hand corner of the page. 7. Scroll down to the ‘Application form’ section of the page. 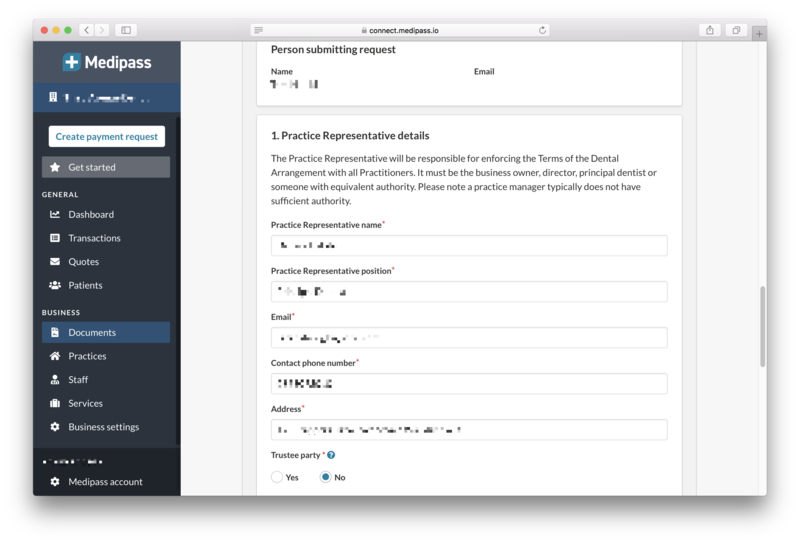 Any changes made in step 2 to the practice name, practice address, ABN, Practitioner names and/or Practitioner provider numbers should show on the application form. If you need to update the practice representative, their contact details and/or the AHPRA declaration, make those changes on the application form now. Note: DO NOT click ‘Edit practice details’ or ‘manage staff’ as you will be directed away from the application form and your changes will not be saved. If you need to update either of these and have not already done so, go back to step 2. 8. 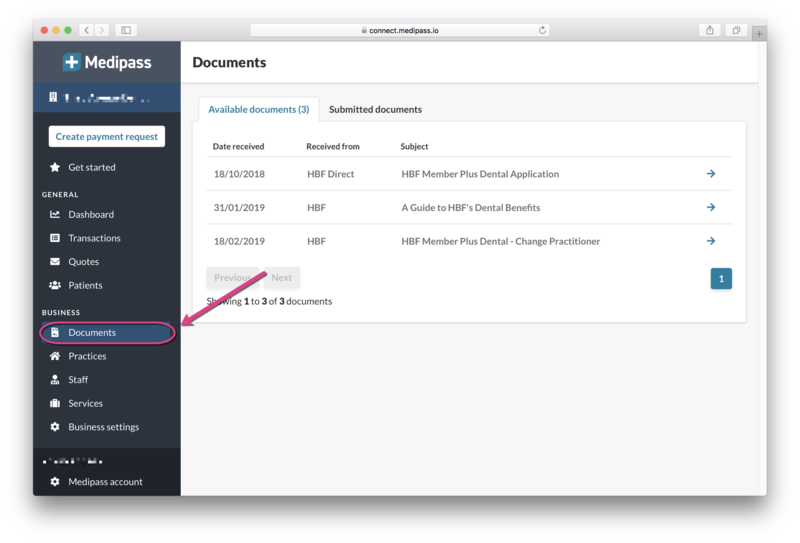 Once all necessary updates are showing on the application form, review and complete the ‘Declaration’ and click the ‘Submit’ button. If you're having any trouble updating an agreement, ensure you're using the latest version of Medipass by refreshing the page. If that doesn't work, send us a message via the chat bubble, or by email to support@medipass.com.au.